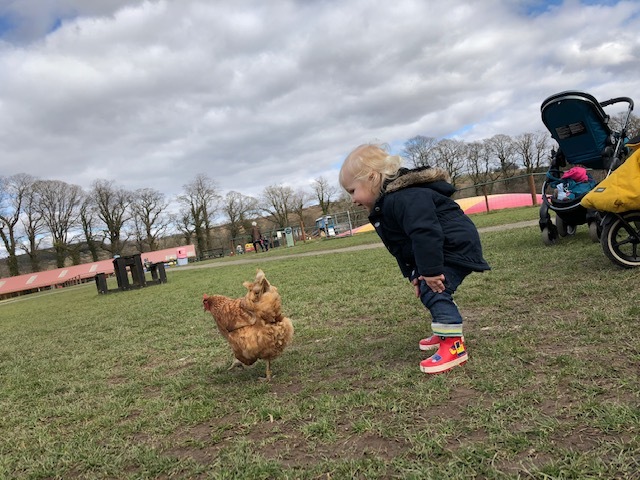 We have been to Briarlands Farm a couple of times in the past few months and we have had such a brill day every time. Even when the weather’s been a bit crappy. My parents got us and the kids annual passes for Christmas last year, after I lost my engagement ring in their giant hay pit last November. (Some of you might remember that saga and how absolutely amazing Mary and the staff were in helping me get it back.) So we’ve been quite a few times this past year and have had a great day out each time. The first things you find when you go outside are the big bouncy pillows. A huge hit with both my kids. They absolutely love these things. (As do I to be honest; they’re quite fun. You do have to practise your pelvic floor control a bit though…) There are two at Briarlands Farm; one is specifically for the little kids. The little man gets really annoyed when bigger kids have the audacity to jump near him and make his life terribly difficult. So having one of these just for wee ones is quite nice. 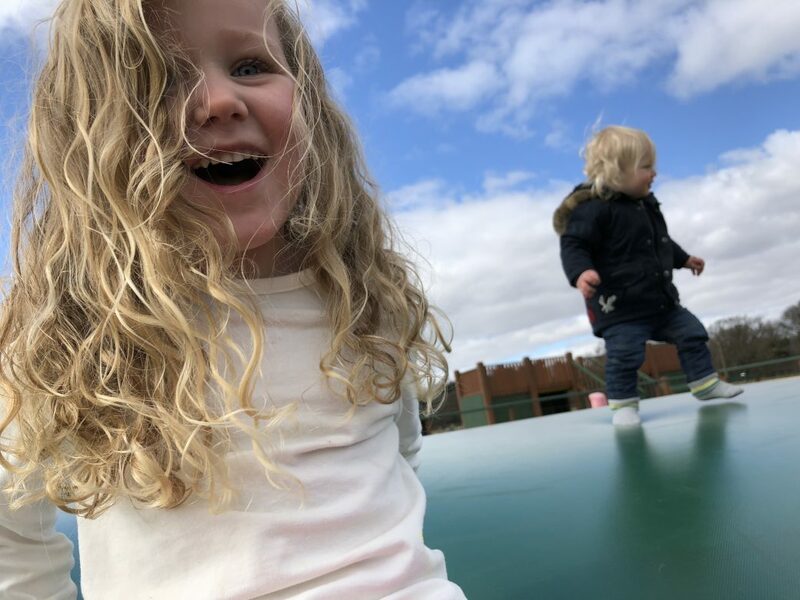 Their new fort-style play area with slides and tunnels proved quite popular with the little lady this year. As are their various climbing frames and assault courses which are dotted around the place. 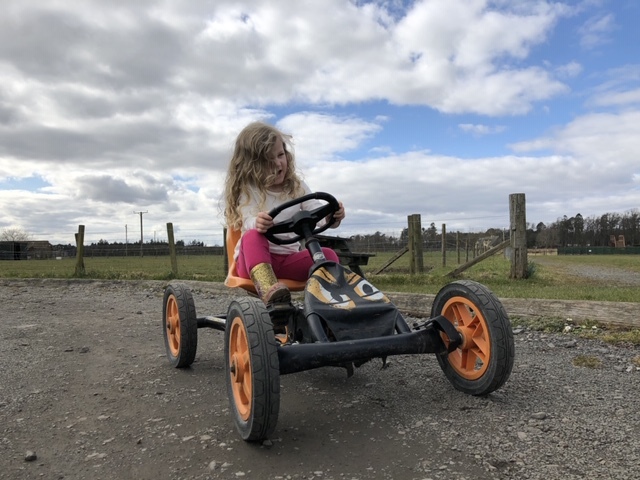 There are tractors and cars for the little kids to play on, small go karts that the little lady can now pedal herself. And much bigger go karts that she most definitely can’t go herself yet (her legs need to grow half a metre first!) There’s also a big tractor for kids to sit in which I’ve had to fight many a time to get them both out of! Dotted around the field there are some other activities including a sand pit and archery and a maze. Plus there’s the hay pit where they sometimes have things hidden for you to find, and a little football play bit too. 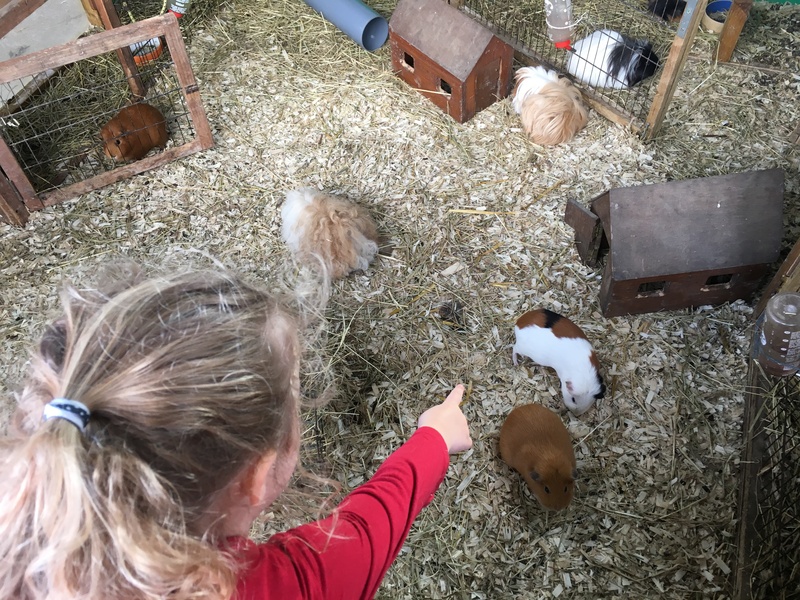 There’s a little barn containing a bunch of guinea pigs, some rabbits and other bigger animals depending on the time of year. The little lady got to feed a lamb from a bottle earlier in the year in this barn which was very exciting. You can also take a tractor ride around the farm. We haven’t yet, because every time we’ve been it’s been far too hot to sit on a tractor. Either that or the little man has just not been up for sitting. At all. But it looks like a fun tractor ride! The tearoom at Briarlands Farm is definitely one of the nicer ones to get some lunch in and is a big selling point for me. 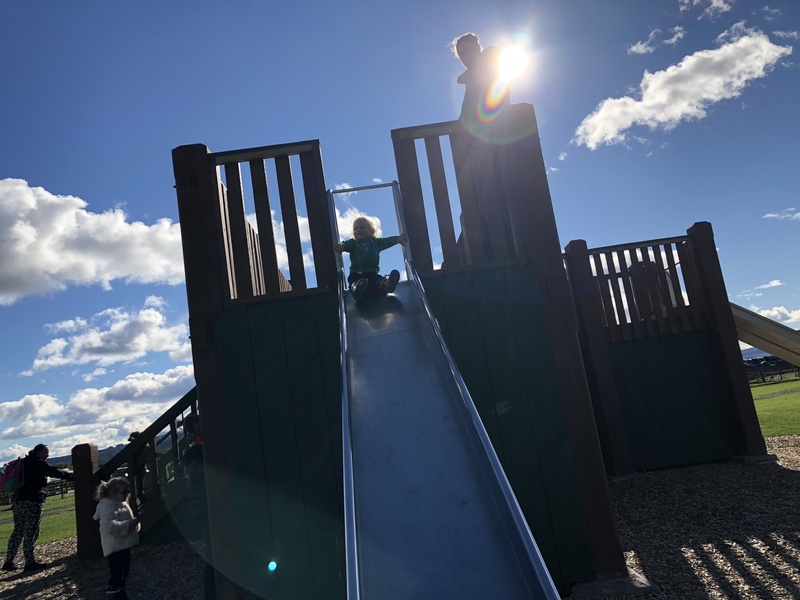 I have once gone there just to have lunch and a play inside without even going to the farm. They serve up hot and cold drinks, sandwiches, potatoes, soups and salads. They have a good kids menu too; far better than most of the soft plays and other family attractions around. It’s more like stuff I’d feed the kids for lunch myself rather than the standard pizza, chicken nuggets or a cheese sandwich you tend to get in many places. Briarlands also does a lovely selection of cakes and bakes. The homemade custard creams are absolutely amazing. I can highly recommend those! 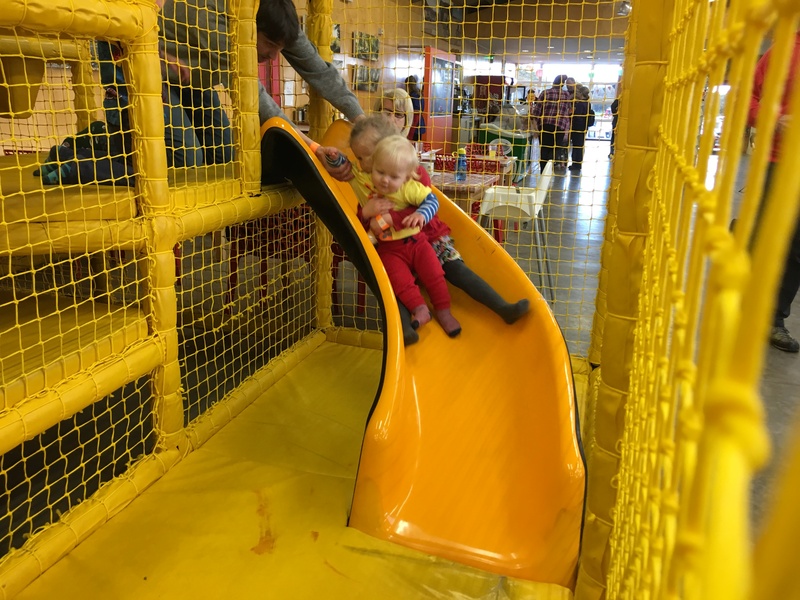 The tearoom has a small soft play area in it with a ball pit, a little slide and lots of toys; kitchens, dress up, baby toys, giant connect 4… It’s a great, low stress place to eat with kids, and both my kids absolutely love playing in here. One of the things I really like about the farm at Briarlands is that you can set up a picnic blanket in the middle. It’s so flat you can pretty much see your kids no matter which bit of the farm they play on. Briarlands Farm have strawberry picking during the strawberry season. 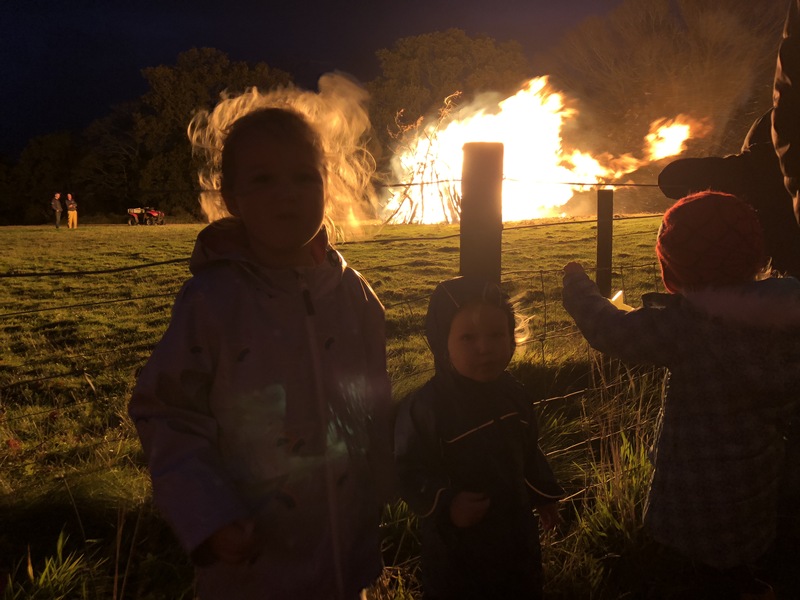 For the past few years they have had a really nice bonfire night event. There are no fireworks (too scary for the animals) but kids can play on the climbing frames and hay bales. And then the bonfire gets lit when it’s dark. 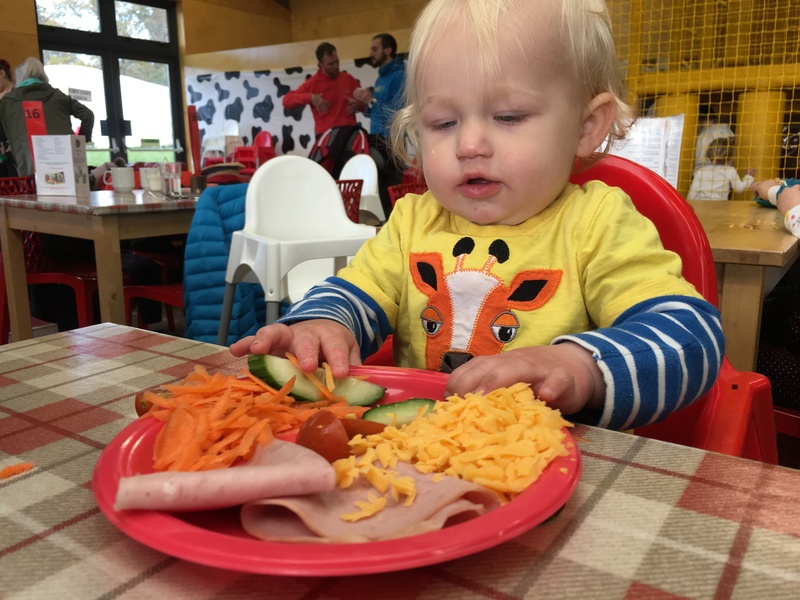 You can also get yourself some chips and a roll and sausage from the cafe while the kids warm up in the soft play. It’s only on for a few hours but it was £3 (I think) and a really nice evening. Entry to the tea room and soft play area is free. 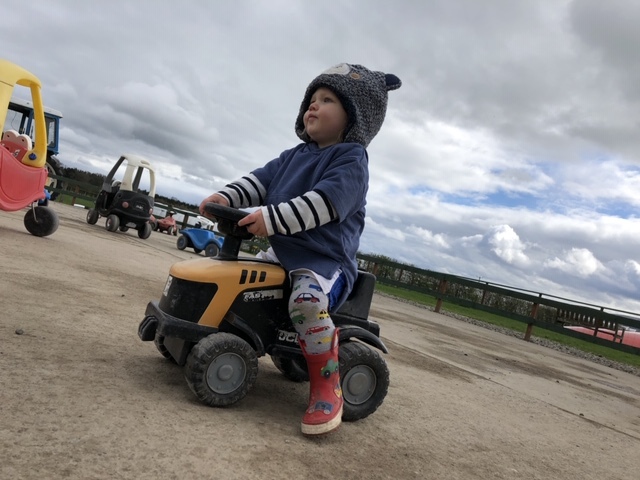 If you’re going outside into the farm then entry is £5.75 for adults and £7.75 for children. All the outdoor activities are included in the price except tractor rides and the mini diggers which are all £1. You can also buy bags of animal feed for 50p. Season passes are available too. 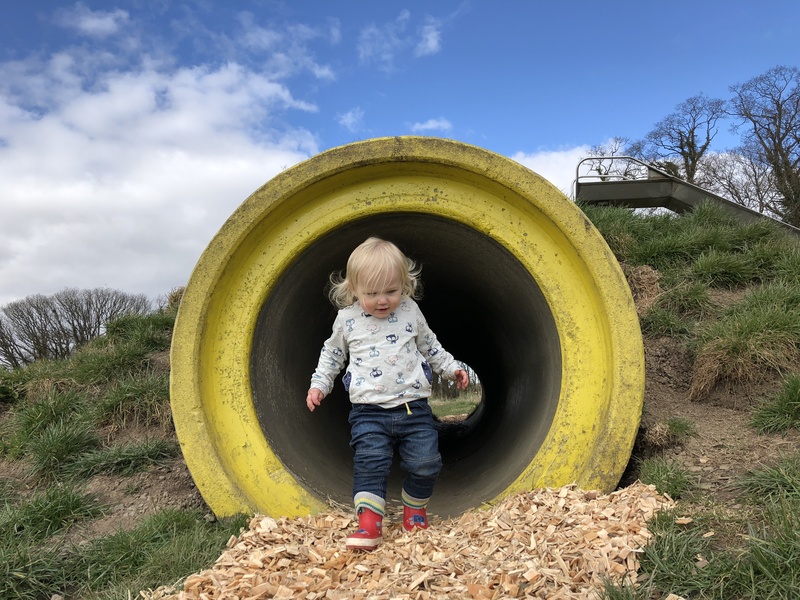 Briarlands Farm is a great place for a run around, for jumping and climbing, for letting off some steam and for meeting cute animals. The tearoom at Briarlands is lovely too (their giant custard creams are absolutely amazing). It has a wee indoor play area with lots of toys where you can eat your lunch. And the kids can play while you finish your cuppa! It’s also reasonably priced for entry. Highly recommended. 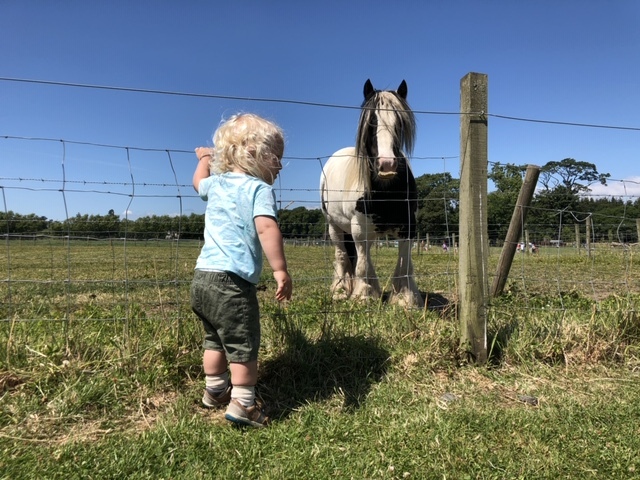 Briarlands Farm is located at Blair Drummond, FK9 4XQ approximately 40 minutes from Glasgow (next to Blair Drummond Safari Park) just outside Stirling.